The album tells stories of loss, loneliness and despair but it's not depressing. Quite the opposite it offers hope and consolation. It's stunning, very classy and simply heavenly. Fifteen is full of the wow! factor and a very fitting anniversary release for this superb trio. The album opens with a wonderful a cappella version of the 'Old Churchyard', a traditional spiritual folk ballad which sets the mood for the album, heartfelt songs with pure harmonies and minimal sympathetic instrumentation, consisting mainly just guitar, banjo, fiddle and bass on a few songs. One of the albums standouts is their beautiful version of the title track of Tom Petty's 1994 album 'Wildflowers'. Soaring sweet harmonies over banjo, acoustic guitar and fiddle. It serves as a fitting tribute to Tom and his music. Marvellous. 'Boulder to Birmingham' is a track from the 1975 album 'Pieces of the Sky 'by Emmylou Harris. The song was written by Emmylou and Bill Danoff. It has served as something of a signature tune for the her and recounts her feelings of grief in the years following the death of country rock star and mentor Gram Parsons. The song is famous its chorus "I would rock my soul in the bosom of Abraham. I would hold my life in his saving grace. I would walk all the way from Boulder to Birmingham. If I thought I could see, I could see your face." 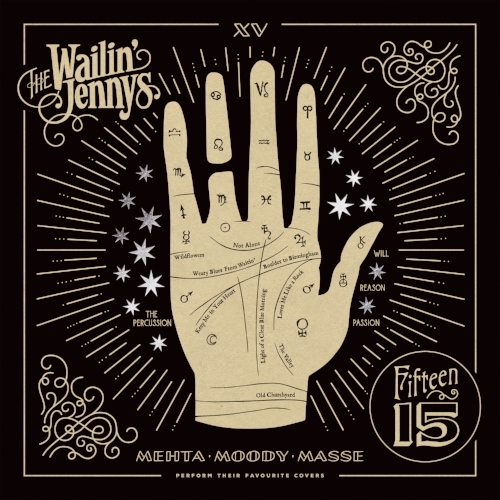 Another heartfelt and perfectly pitched cover from the Jennys. So you let time forgive the past and go and make some other plans." Warren Zevon's heartfelt 'Keep Me In Your Heart' a stunning song. The final one that he wrote and recorded while fighting mesothelioma (a form of terminal lung cancer). This was also the only song on Warren's final album The Wind, that he wrote entirely after learning of his terminal illness. Warren was such a force of nature, it’s very difficult to do this song real justice. The Jennys arrangement is heavenly with their sympathetic voices adding to the feel and gravitas. Fittingly the last song on the album is another super a capella this time Hank William's 'Weary Blues From Waitin'. It was originally released as a posthumous single on MGM Records in 1953. "Through tears I watch young lovers, as they go strolling by. For all the things that might have been. God forgive me, if I cry."